1. Click Organize from any Windows explorer window (My Computer). 2. Select Folder and Search Options. 4. 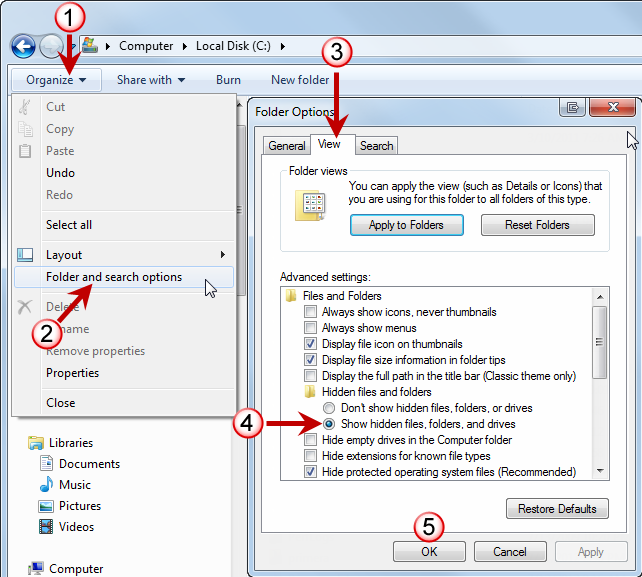 Select Show hidden files, folders and drives.